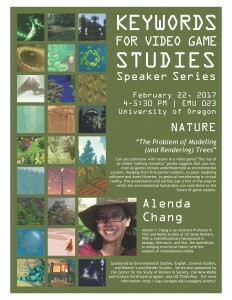 An image of the flyer is also available below. PDF version here. We hope to see you there! Series made possible by Environmental Studies, English, Cinema Studies, the New Media and Culture Certificate program, Women’s and Gender Studies, and the Center for the Study of Women in Society. Other support includes the LGBTQIA Scholars Academic Residence Community, LGBT Education Support Services, UO Housing, the UO Residence Hall Association, and UO Think.Play. 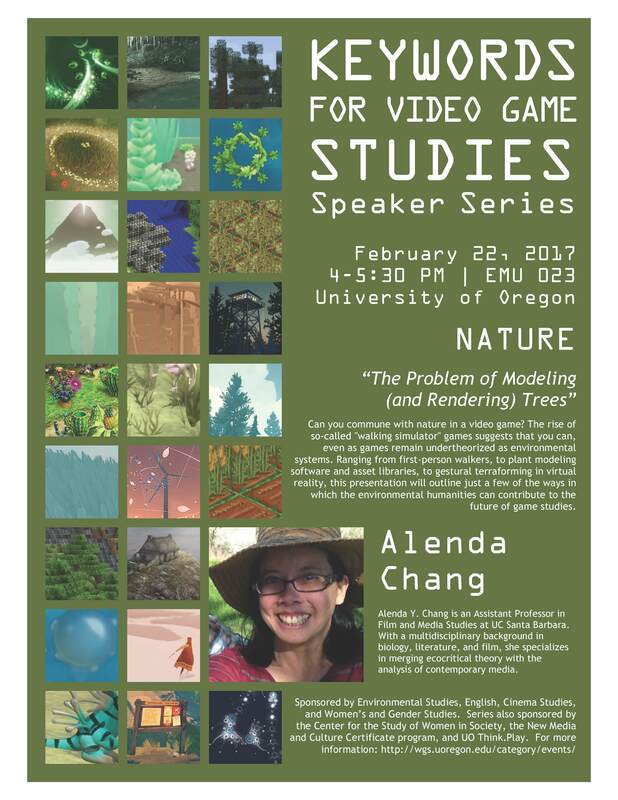 Contact Dr. Edmond Y. Chang for more information at echang@uoregon.edu.